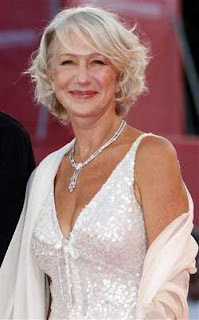 London, Dec 24 (IANS) Veteran actress Helen Mirren thinks she has grown increasingly frightened of taking risks with her career as she has got older. The 65-year-old actress says she has grown increasingly less inclined to take risks with her career because she needs the security that comes with steady work. "I try not to be but, you know, as you get older, you get more frightened," she said. "The realities of life start coming in on you and you realise that you do want security and so on and so forth. So you start working towards that and that's when you start losing your idealism, which is sad," she added. Despite her desire for security, Millen admits she has made unusual choices throughout her career, but always felt she would have the safety of theater work to fall back on.